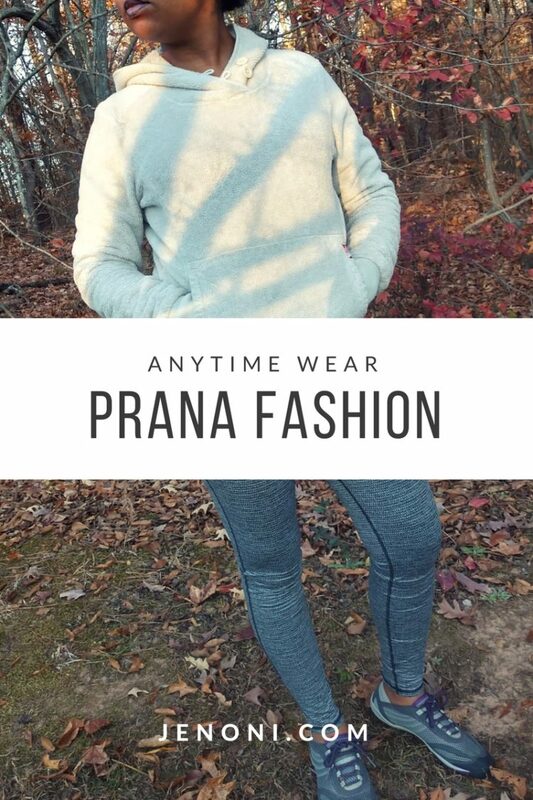 One thing I love about PrAna Fashion aside from it being sustainable clothing is that you can wear it anytime and not just specifically for outdoor or fitness activities. I had an opportunity to style a couple of pieces and I’m very satisfied with my picks. If you didn’t know I’m very particular when it comes to convenience and comfort. If I can be stylish and comfortable it’s a huge win in my book. PrAna has some great select styles for this season in addition to their holiday gift guide that you should check out. My first pick was the Deedra Sweater Tunic in Coal. 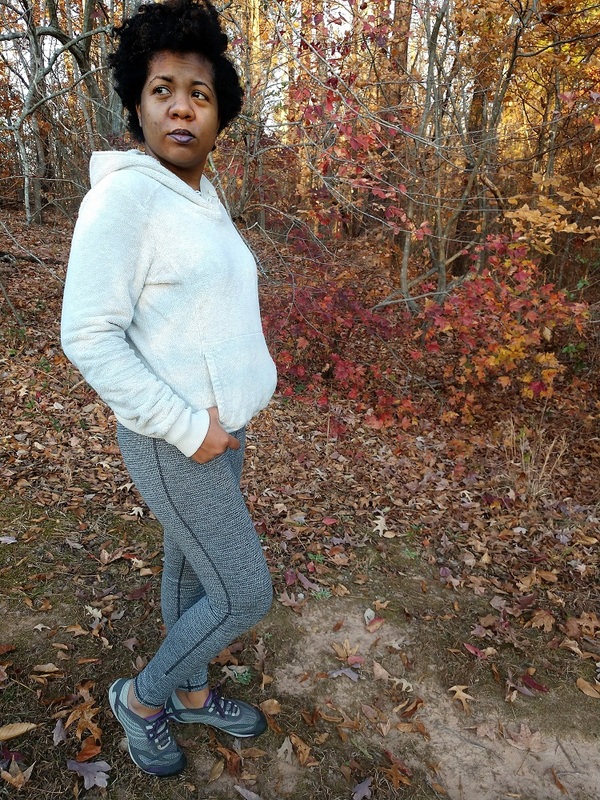 It’s an organic cotton blend mid weight sweater knit, long sleeved v- neck tunic with oversized side vents. There is mixed stitching throughout the sweater to provide pattern and texture. You get a relaxed fit and it’s 53% organic cotton, 26% acrylic, 13% polyester and 8% wool. One of my favorite features of this sweater is the dropped hem tail. 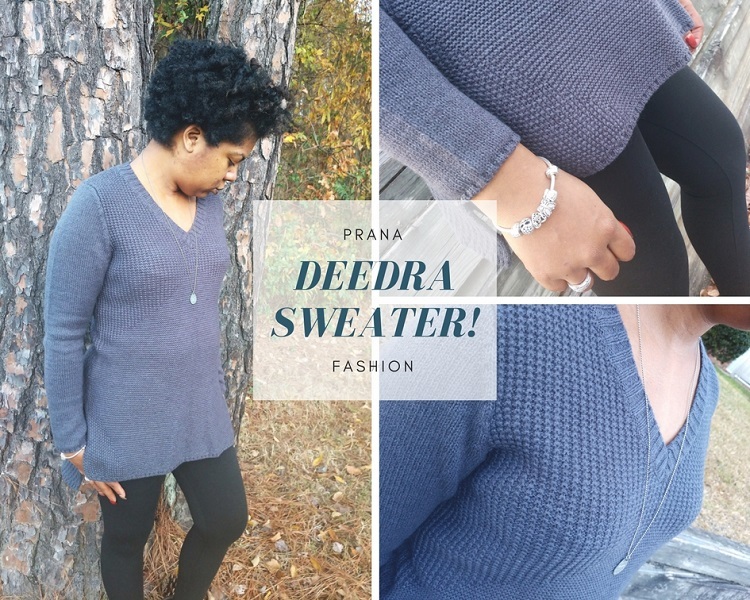 I paired the Deedra Sweater Tunic with some black fashionable leggings and booties for this fall weather. 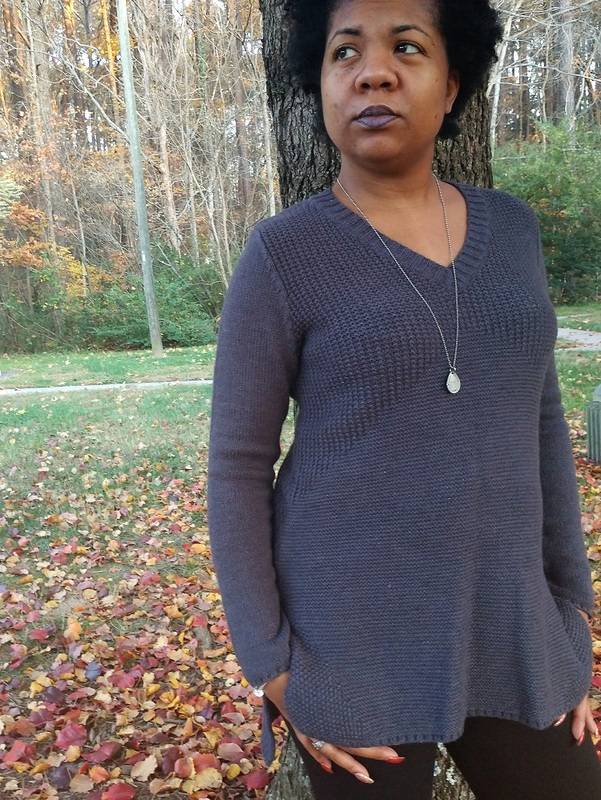 The Deedra Sweater Tunic is very comfortable. I have it in coal but, it’s also available in colors auburn, dark plum and winter. The size starts at small and goes up to extra-large. I could easily wear jeans with this too and have a great casual look. My next pick was the Caraway Tight in Black Birdeye. I’m going to keep it all the way real with you. If I’m NOT dressed up, I’m in Yoga Pants, Tights or Jeans! That’s my everyday wear and if I’m home, I’m in my jammies! I’m all about being comfortable. 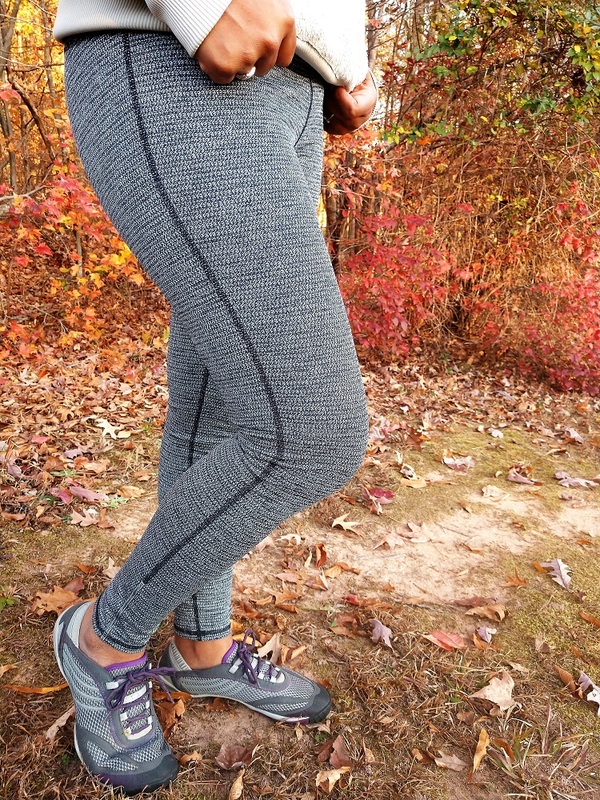 The Caraway Tight in Black Birdeye is a performance tight with moisture wicking properties. It’s a high-rise compression pant and designed with flatlock construction and a triangle gusset for added durability. It also has a wide waistband, internal draw cord and hidden mesh pocket. I really like the reflective taping at the bottom of side seams and reflective mini diamond logo at the center back waistband. That will come in handy should I take a hike in the evening when it’s getting dark or just being out and about. The tight is bluesign© certified fabric. It’s 92% Polyester/ 8% Spandex Brush Backed Performance Space Dye Fleece(Cargo Green, Indigo, and Grapevine). Also, 94% Recycled Polyester/6% Spandex Textured Jacquard Performance Knit (Black Birdseye). This is a great design. I paired it with a fleece hoodie to keep me warm in this cool weather. You can switch in between sneakers and boots with this look. Overall, it’s very comfortable and it looks good. PrAna’s mission is to inspire healthy, active and free-spirited living. 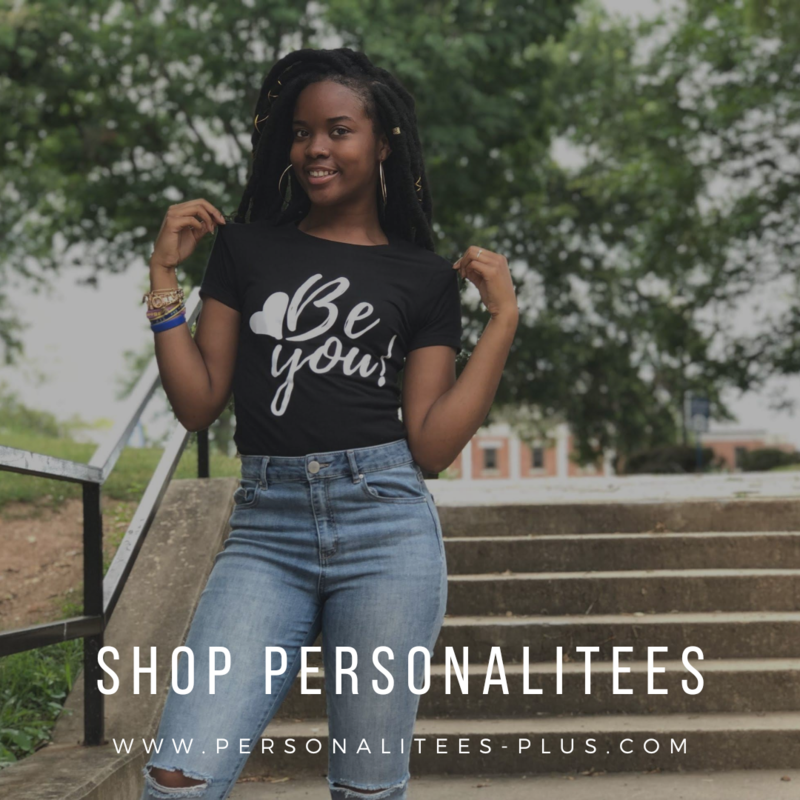 They have a variety of clothing for men and women along with accessories you can shop. This is the perfect time to shop for holiday gifts with select picks in the holiday gift guide. You have categories like warm gifts for her, warm gifts for him, easy gifts under $50 and thoughtful gifts under $100. 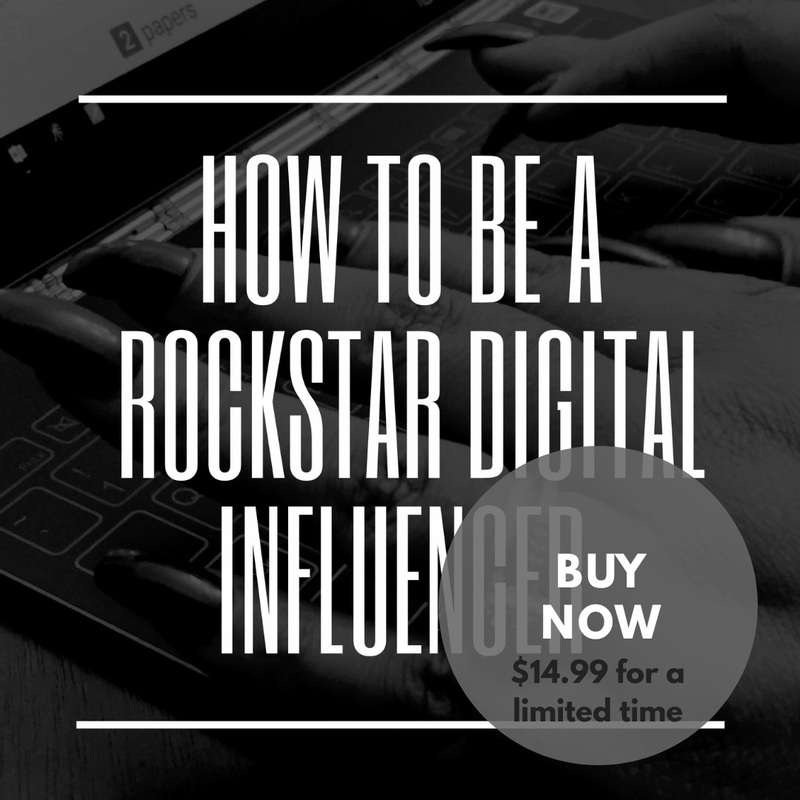 You also get FREE shipping on all orders. Visit the PrAna website to see all the stylish and comfortable clothing available in the digital catalog. Happy Holidays! I’m also sharing 15% off any order by using my personal code: CMJL17 and FREE Shipping until 12/20! I like all this outfits which looks perfect and stylish. Hey Jen. the combination of clothes and shoes you used it looks nice. It is looking comfortable. The accessories makes the outfit complete. Thank you for sharing this post. Keep posting!